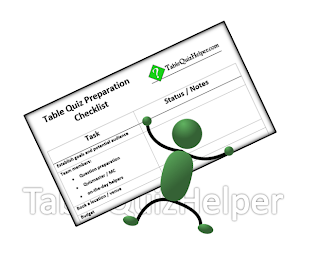 This is a one-page-at-a-glance check-list for planning a table quiz. It may be the only planning tool that you need for a small, simple quiz run by people who are familiar with running quizzes and with working together. Or it may be a summary that you use to keep track of many other detailed plans, schedules etc. Click on the icon to open a version of the checklist that you can print. The Word version lets you make add extra item, and delete ones that aren't relevant. 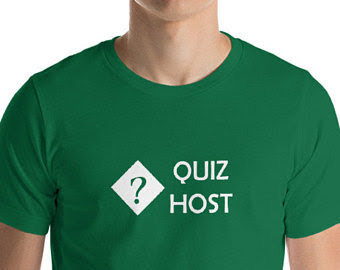 There are also three blank sections at the bottom, where you can add anything these that's important for your quiz: If we've missed anything important, leave a message in the Comments box at the bottom of the page, and we'll update the form.